The White House began to notify Congress of the new deployments as they began Sunday night under the War Powers Act. It is reported that deployment started on Sunday night. Dory and other officials emphasized that the Ospreys will be used for troop transport and that the rules of engagement for U.S. forces remain the same as for about 100 Special Operations troops that Obama first sent to help find Kony in October 2011. U.S.personnel are authorized to “provide information, advice and assistance” to an African Union military task force tracking Kony and his organization, the Lord’s Resistance Army (LRA), across Uganda, the Central African Republic, South Sudan and Congo. 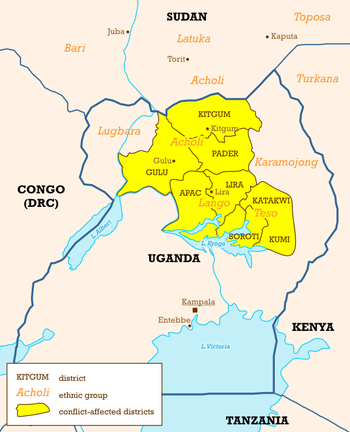 While combat-equipped, they are prohibited from engaging LRA forces unless in self-defense.The new War Powers Act notification sets the approximate total for all U.S. forces in Uganda at 300. Posted on 24th March 2014 by newsafrica. This entry was posted in Africa, African Union, Joseph Kony, Lord's Resistance Army, President Obama, Uganda, USA and tagged Barack Obama, Central African Republic, Joseph Kony, Lord's Resistance Army, LRA, Obama, Uganda, United States. Bookmark the permalink.